The thing about Diet Cig is you really, really need to tune in to find the meaning behind it all. Their self-described “slop pop” is more serious and sentimental than meets the ear, and such is the case on this other side to the band’s recently announced 7″. “Dinner Date” tackles adolescence to adulthood, the tiny moments that mean so much more, and that shape everything to come. 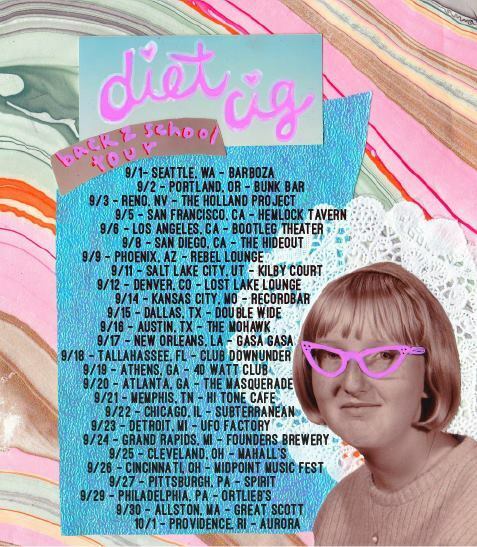 Peep the single’s recently released video and dates for their Back 2 School tour below the jump! Catch me sobbing at the Sheer Mag date. The 7″ is out 9/18 through Father/Daughter Records and Art is Hard Records.